contains 0.3g of dietary fiber while the same amount of cooked long grain brown rice enjoys 1.5g of dietary fiber. That same ½ cup of cooked brown rice is also a excellent source of manganese and a good source of magnesium, selenium as well as phosphorous, zinc, copper, thiamin and iron. This is in addition to valuable phyto nutrients. Recent research suggests that brown rice is rich in beneficial anti-oxidants, specifically phenolic compounds (found in many fruits and vegetables). These compounds have been shown to protect against cardiovascular disease. 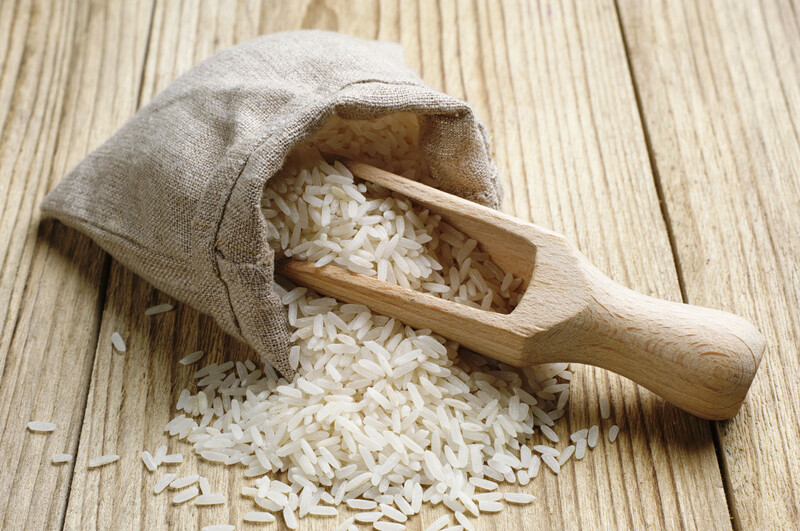 White rice – This is rice that has had the germ and the bran removed. Most white rice is polished, which further strips any residual nutrients from the grain. 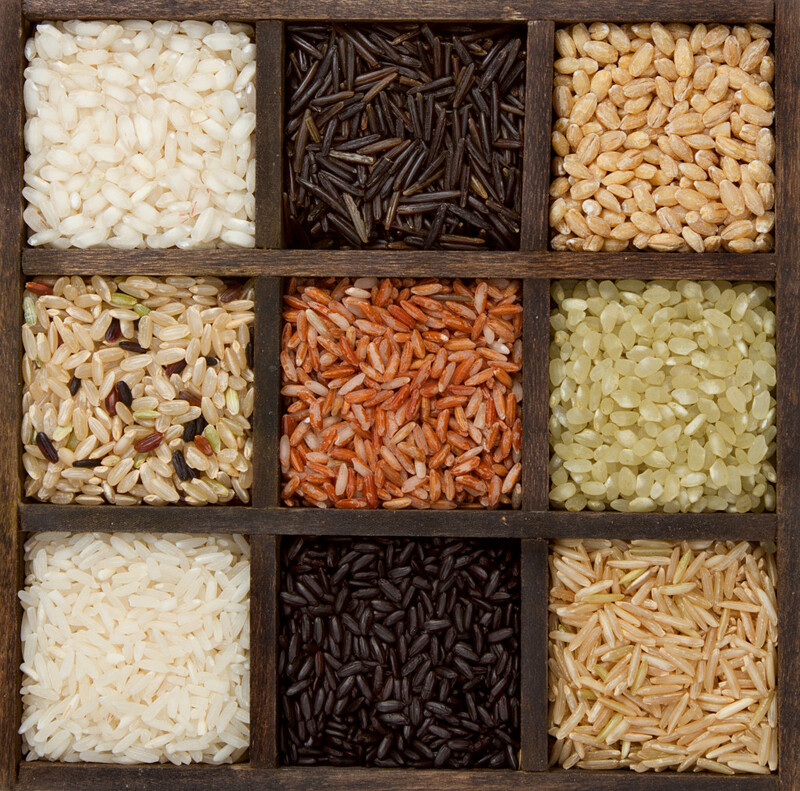 Long-grain rice is four to five times longer than it is wide. When cooked, this rice is fluffy and dry with separate grains. Medium-grain rice is about twice as long as it is wide and cooks up moister and more tender than long-grain. Popular in some Asian and Latin American cultures, it is the type of rice most commonly processed to make cold cereals. Short-grain rice is oval or round in shape. It has the most starch of all the rice which makes it sticky and easily molded, making it ideal for dishes such as sushi. Milled rice (white, parboiled or pre-cooked) will keep almost indefinitely in a cool, dry, dark place in a sealed package. 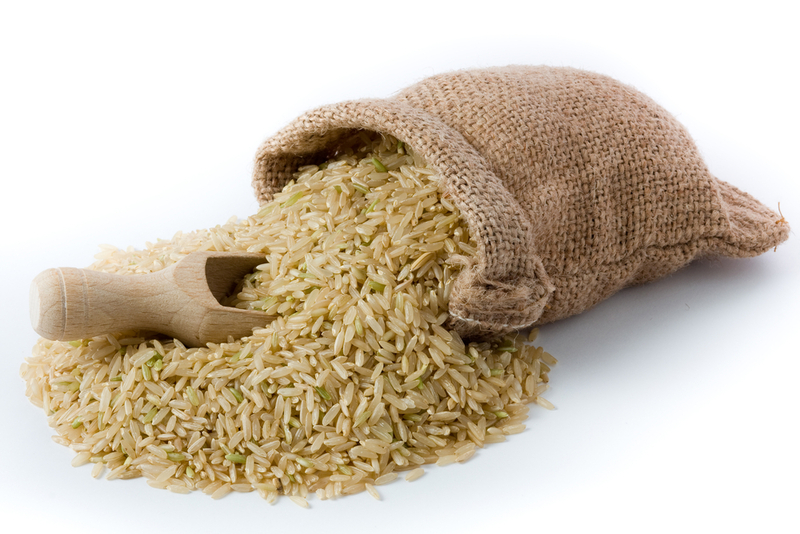 Once opened, rice should be stored in a tightly-closed container to keep out moisture and other contaminants. Brown rice may become rancid if improperly stored. Keep for up to 1 month in a cool place. For longer storage, refrigerate or store in the freezer. Rice is cooked in a variety of ways throughout the world, but simmering or steaming is the most common method in North America. Generally, twice the amount of water as that of the rice is brought to a light boil in a saucepan. The rice is then stirred in. The pot should then be covered and the rice cooked, over a low simmer anywhere from 15 to 20 minutes for most white rice or for 25 to 40 minutes for brown rice. Wild rice, actually a marshland grass, will take even longer, from 45 to 55 minutes. Parboiled rice, rice that has been partially precooked or steamed, requires the shortest cooking time, anywhere from 10 to 15 minutes, depending on the variety you use. When calculating how much rice to use, it’s typical to triple the amount of raw rice. So, for example, 1 cup of raw rice will yield 3 to 4 cups of cooked rice. This entry was posted in Grains, Vicky's Blog on Dec 23, 2013 by Vicky Pearl.